For decades, businesses have adjusted prices based on location. Any business that must lease physical space deals with disparities in rent prices from one city to the next. A store in a shopping district in Beverly Hills will be forced to pay higher monthly space fees than one located in a small town in middle America. It only stands to reason that these two locations would have dramatically different prices to compensate for this. However, the Internet has leveled the playing field for consumers, allowing them to easily price an item across multiple locations and choose the one that is least expensive. A shopper at the above-mentioned Beverly Hills store could easily find a cheaper price in a neighboring town or online and purchase it there. This issue brings the question: can businesses afford to maintain pricing differences now that the buying experience is expected to be transparent? For decades, gas stations have based their prices on the prices posted by surrounding stations. This has created a situation where a customer can enjoy significantly lower per-gallon costs in one area of town as opposed to another. Often this is the case in areas of high demand, where stations can charge more by being near an interstate or in an area filled with tourist attractions and hotels. This pricing strategy relies heavily on the fact that nearby customers are, in essence, captive audiences. A customer on an airplane is more likely to pay $4 for a small bag of chips, for instance, because he has no other choice. The entire backbone of regional pricing relies on appealing to customers located within a specific geographic area, assuming that the customer won’t travel all over town to see if someone else is offering it at a more reasonable rate. 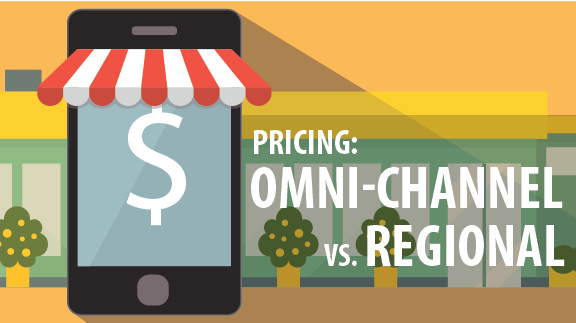 Mobile devices have complicated matters for brands that base pricing on location. Price comparison apps allow customers to check prices on a specific product within a certain distance. Knowing that he can save five cents a gallon on gas by driving five miles to the next exit, for instance, will prompt a driver to skip the more expensive stations in favor of a cost savings. Because of this, brands can no longer afford to limit their pricing awareness to a small geographic area. They can’t even limit that awareness to the brick-and-mortar shops located nearby. Businesses must constantly pay attention to the information customers are receiving through searches on mobile devices, as well as through pricing comparison apps, since that information could be the very thing causing those businesses to lose customers. Pricing comparison apps have removed geography from the equation when it comes to consumer pricing. Customers are no longer limited to the shops and services in their immediate surroundings. Instead, they can compare prices across a wide variety of locations, from both online and in-store retailers. As a result, brands must be more competitive than ever to win customer dollars. At PriceManager, we’d like to show you how we can help you track your competitors’ prices to maximize profit margins and increase sales. Request a free demo today! Or call us and find out more about our service 800.574.0130.